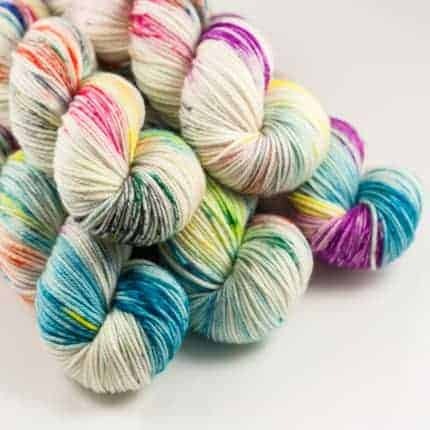 Valentina of SnailYarn has updated her Etsy shop with a variety of old and new variegated colorways, including the fun Every Flavour Beans pictured above, as well as some beautiful gradients. 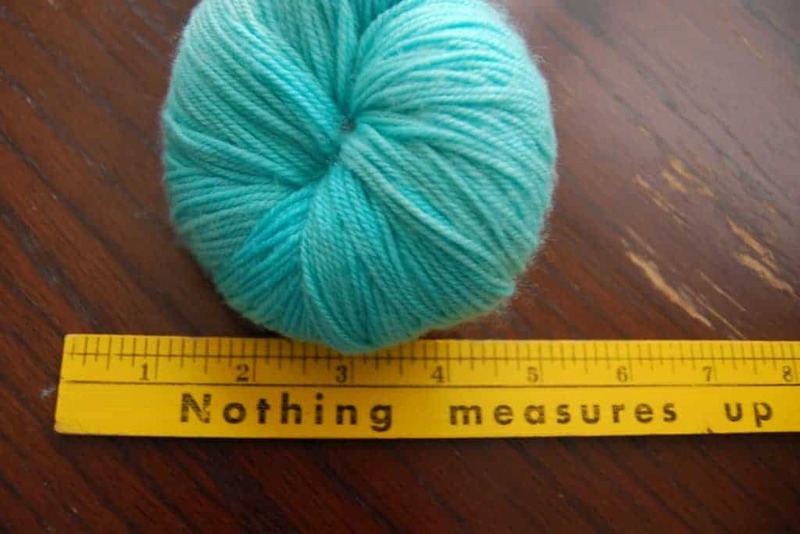 Available bases include single-ply Merino, superwash BFL and sturdy Merino/nylon sock yarn. There are also some ready-to-ship semisolids in her luxurious BFL/silk blend. And keep your eyes peeled for cool color block kits. 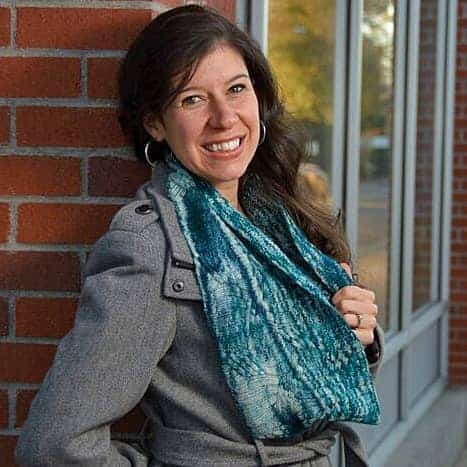 If you want a big yarny indulgence, look no further than Bijou Basin Ranch’s Odyssey Cowl kit. Choose from among eight new colorways from Miss Babs dyed on one or two skeins of Tibetan Dream sock yarn to pair with a new cabled cowl pattern by Laura Chau. As the infomercials says, But wait, there’s more! 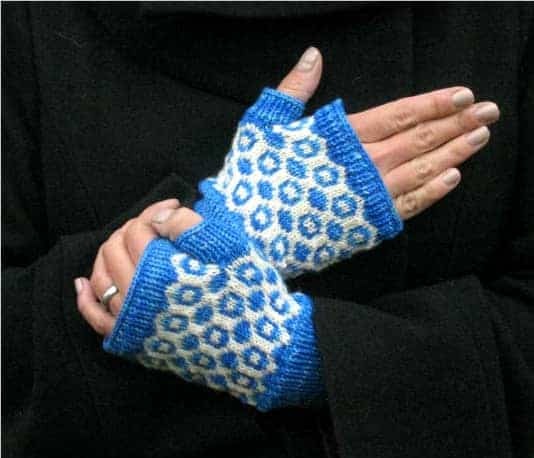 You also get a set of Signature needles, a OOAK project bag, a set of stitch markers and a sampler of Allure fine fiber wash.
Keya’s new Inverse Mitts look like a quick, interesting knit that would make a perfect holiday gift (or help prepare you for the winter that is coming). Worked up in Cedar Hill Farm Company’s newest base, Sporty Sheep, a 3-ply superwash Merino, this stranded colorwork pattern uses less than 200 yards. The newest addition to the IU family is JOMA Yarn, a mother (Johane) and daughter (Emjay) team from British Columbia. 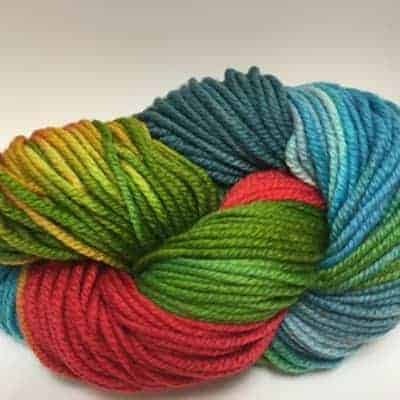 They dye Canadian-milled yarns in such creatively-named colorways as as Forget Me Knot, Cosmic Chameleon and Hush Money. Use coupon code IUFRIENDS10OFF for 10% off until Nov. 26. The Winter 2015 edition of Twist Collective just came out and it includes Laura Patterson’s new Spinner shawl. This winter-inspired accessory includes crisp lines and geometric forms made with yarn overs, decreases and cables, with a little extra sparkle from some beads. It also might make you want to lace up some figure skates (but you probably shouldn’t take your knitting on the ice). A Good Yarn’s first Purl Diver Color Club yarn has arrived! Mantis Shrimp is inspired by an underwater photo taken in Komodo National Park in Indonesia, where shop owner Susan’s husband Murray was diving with their son Daniel. 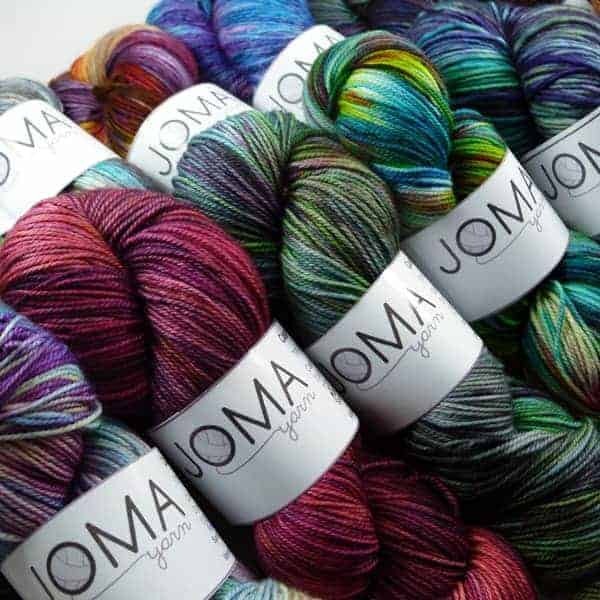 It’s dyed on the squishy Cloudgate base from Lorna’s Laces, a bulky blend of 90% superwash Merino and 10% nylon that comes in 120-yard skeins, perfect for chunky winter knits. This entry was posted in What to Stash and tagged bags, cowls, indies, kits, limited, patterns, shawls, stitch markers, yarn, yarn club.